Nic and James have been very fortunate throughout their diving career - they've met some very influential people during their travels. These guys and girls are the pioneers, the explorers, the magazine pin-ups. They write the courses for training agencies. They're at the forefront of diving techniques and technology. Unsurprisingly, Nic and James have always jumped at the chance to learn from them. They are constantly picking up little tidbits to add to their bag of tricks in order to improve their own diving, and of course their teaching. A diver who thinks their training is finished is... well, to put in bluntly... wrong. 1. Scuba diving is constantly evolving. What you learnt on your course a few years back might not necessarily be the best way to dive today. Whether it's the techniques created by the best technical divers in the world that are slowly trickling into the recreational scene or the newest innovation in equipment, there's always something new to try out. This doesn't mean that you must pay for another course (although that does have hidden benefits). Just look around you. If you've always dived a traditional jacket style BCD, and your buddy has a flashy new wing - ask them what it's like! Better still, ask to try it! See if it's something that improves your diving. 2. It will make you a more skilled diver. The path to modern diving takes you right back to the beginning. You'll work hard to get perfect weighting and tweak its position to achieve good trim. Once you've nailed this basic task, you'll spend time perfecting buoyancy - a quick mention in an open water course, or a bolt on specialty is not the end of mastering buoyancy. You should be practising and evaluating on every dive - it's fundamental to being a skilled diver. 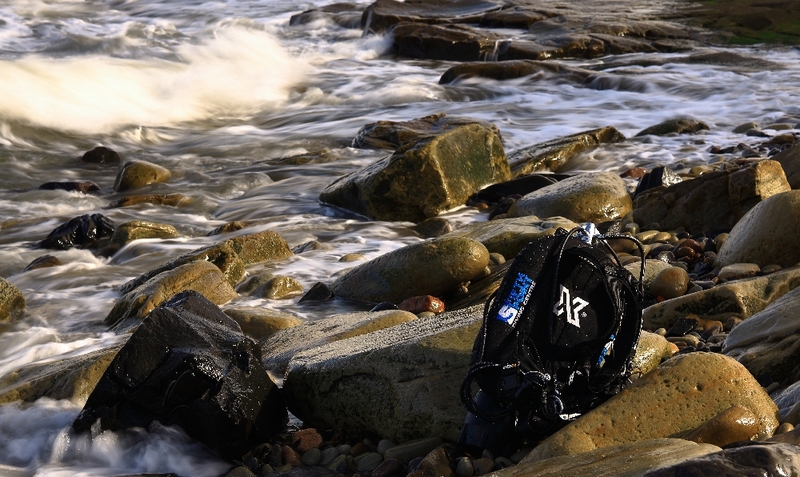 Changing environmental conditions, new equipment, task loading all affect your buoyancy. Evaluate your ability to control your buoyancy during new situations and develop it to the point that it's automatic - something you control unconsciously. 3. It will make you a safer diver. Techniques are tweaked, sometimes even revolutionised with the development of new equipment. When Nic and James first tried out the long hose setup, it was a light bulb moment. The benefits of a long hose is a whole blog post in its own right, but there was one skill in particular that sealed the deal for The Fifth Point's choice in kit configuration. After 6 years of teaching with the "standard" short hose, Nic was shown how to teach regulator recovery on long hose. It was like modern diving smacked her in the face and she couldn't believe she hadn't thought of it before - when you take your reg out your mouth, instead of blowing bubbles for forever while finding it again, put your alternate in. And of course, with long hose, it's hanging on a necklace just below your chin. It was SO easy. It removes that uneasy feeling (which could lead to panic) experienced by some student divers. You know the feeling - when it's taking a little longer than normal to locate your primary and you don't have many bubbles left to blow! If you don't take the time to evaluate your own diving skills or seek to improve, you might never find that better way of doing things. 4. It will make you a more responsible diver. Modern diving isn't just about skills and gear. It's about attitude. Modern divers understand how delicate our marine ecosystems are. 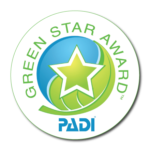 They understand that divers should interact passively with the underwater world to protect it for future generations. They recognise that our UK waters are just as delicate as tropical coral reefs and so choose to master their buoyancy and propulsion to avoid any kind of contact. They choose not to remove artefacts from wrecks or hunt lobsters, but instead remove ghost fishing gear and hunt litter! 5. Establish yourself above the rest. A modern diver stands out from the crowd. Burst this outdated bubble of UK diving. Don't settle for the old school approach to diving. Yes, it might be cheaper - the courses might be discounted and the equipment you choose might not cost as much - but in the long run is it really the best investment? The Fifth Point is the home of modern diving. When it was established, Nic and James knew that it was time for change. When you walk into the dive centre, you're met with a totally different environment to most other schools. There's no overcrowded man cave - it's spacious and welcoming. True to the mantra of reduce, reuse and recycle, nearly everything is made from reclaimed materials. There's recycling and composting stations, even products to help you lead a plastic free lifestyle. The Fifth Point offer modern diving courses. 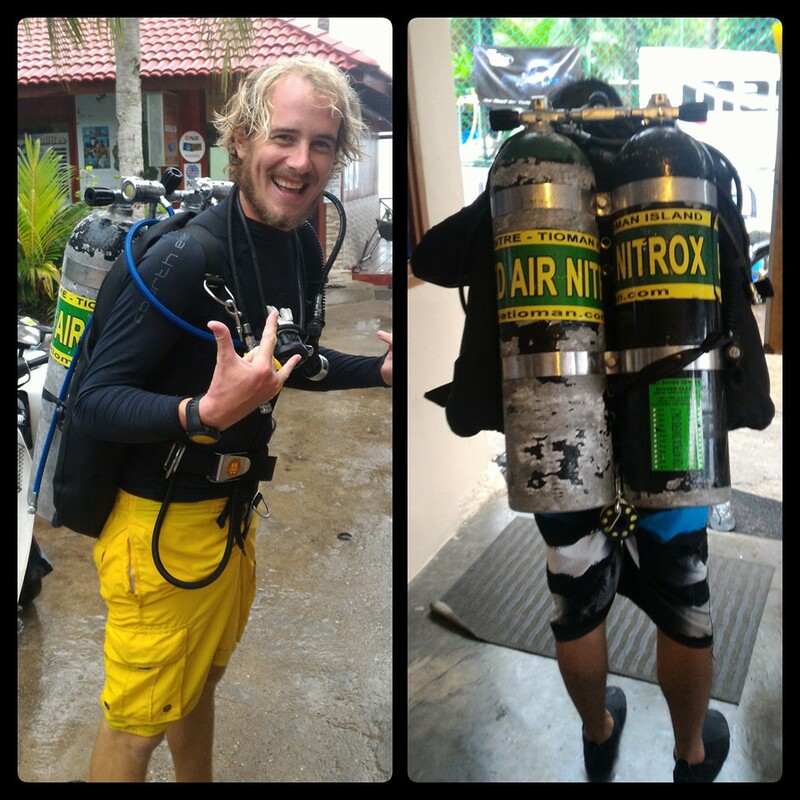 Nic and James chose RAID as their training agency because of the emphasis on diving fundamentals. Buoyancy is at the core of every course - from Try Dive to Pro. Theory is delivered through online learning and students can track their progress through the course on their profile. All The Fifth Point's school equipment is brand new and chosen specifically to promote modern diving. Students learn in wing and long hose configuration from the very start. If you fancy having a splash in a wing, or getting to grips with the long hose set-up, come and jump in the tank! The Fifth Point are committed to keeping our sea trash free. Conducting regular underwater and beach clean ups encourages everyone to play their part in protecting the ocean. As a no touch, no take dive centre, divers will not remove anything from the ocean except litter and fishing tackle. They are also proud to say that they are one of the few dive centres in the UK that release lobsters back into the ocean rather than taking them out! It's time to change the way you dive. Whether you would like to try a different gear configuration, take a workshop to improve your buoyancy or take your next course, get in touch to see what we can do to make you a better diver. Posted in About The Fifth Point, Diving Tips, Start Diving and tagged Beach Cleans, Dive centres, lobster release, Modern Scuba Diving, RAID, Scuba Diving. I took the plunge with Nic and James at The Fifth Point diving centre and it’s amazing. These 2 people made me feel more than welcome, the centre and you get the added bonus of puppy cuddles off Hal. At first I was quite anxious but with the skills and tips I’ve learned I feel quite confident and safe in my dives, even when diving abroad on holiday. Nic is a patient and very knowledgeable teacher and James is brilliant helping you with the gear you will use while learning. The equipment is fab, up to date and easy to use and they will also guide and advise you when you start buying your own gear. On ocean dives we have brought up old lobster pots and nets among other manmade waste and I can’t wait to help out on a lobster release. Local beaches have had clean-ups also. I would, and have, recommended this dive centre and these guys to others and I’m also doing the next course after completing the Open Water 20 at The Fifth Point. Take the plunge you will not regret it, there’s a whole new world for you to explore.